A radically new way of thinking about mental health. What really causes depression and anxiety - and how can we really solve them? Award-winning journalist Johann Hari suffered from depression since he was a child and started taking anti-depressants when he was a teenager. He was told that his problems were caused by a chemical imbalance in his brain. As an adult, trained in the social sciences, he began to investigate whether this was true - and he learned that almost everything we have been told about depression and anxiety is wrong. 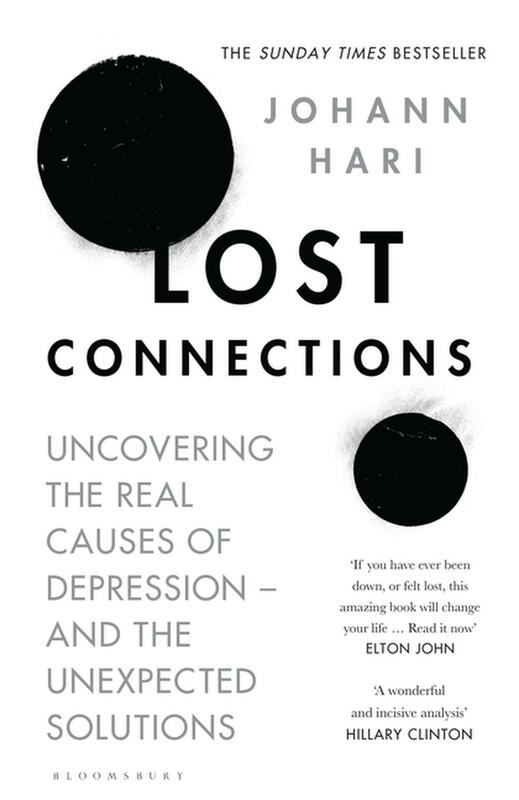 Across the world, Hari found social scientists who were uncovering evidence that depression and anxiety are largely caused by key problems with the way we live today. Hari's journey took him from a mind-blowing series of experiments in Baltimore, to an Amish community in Indiana, to an uprising in Berlin. Once he had uncovered nine real causes of depression and anxiety, they led him to scientists who are discovering seven very different solutions - ones that work. Johann Hari is the New York Times bestselling author of Chasing the Scream. He was a columnist for the Independent in London for nine years and was twice named Newspaper Journalist of the Year by Amnesty International UK. He has written for the New York Times, the Los Angeles Times, the Guardian, Le Monde, Slate, the New Republic and the Nation. He has been awarded the Comment Award for Cultural Commentator of the Year by Editorial Intelligence, and has been named Journalist of the Year by Stonewall. His TED Talk `Everything You Think You Know About Addiction is Wrong' and animated video on the same subject has been viewed over 16 million times. Hari lives in London. it has changed my life It all started to make sense from the first chapter For anyone unhappy with how their depression is being managed I urge you to read this book. It may or may not make sense to you and I think it is advisable to work alongside counsellors and an open minded Dr but for me it was amazing Easy to read I couldn't put it down.